This product includes 50pcs accessories in total. perfect for people who love ﬁshing. 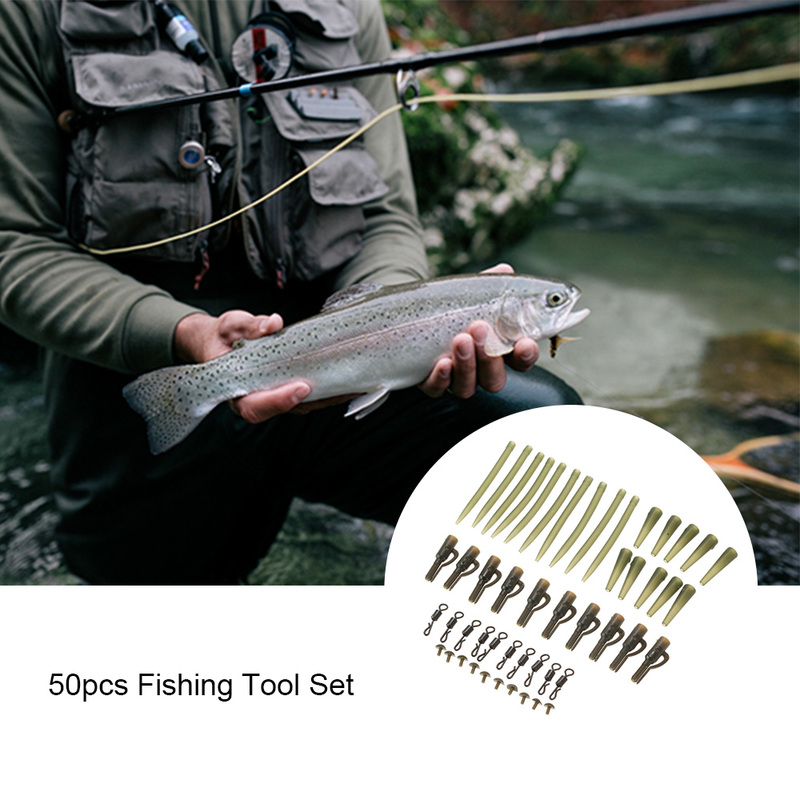 50pcs ﬁshing accessories in total. includes 10 lead clips. 10 tall rubber tubes, 10 rolling swivels, 10 rubber sleeves, and 10 pins. 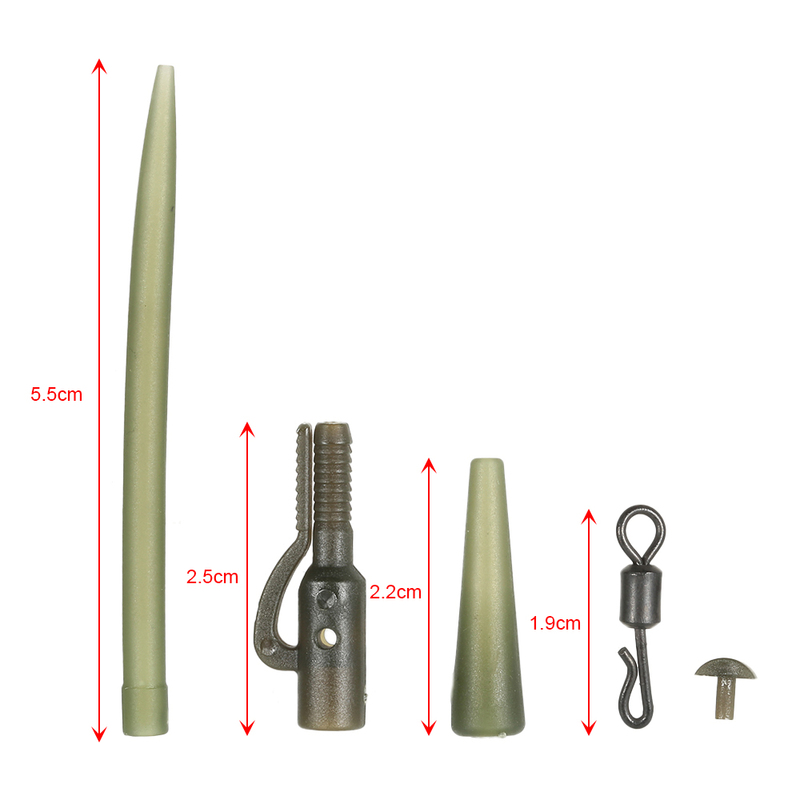 Made of environmentally friendly material, useful accessories for outdoor carp ﬁshing.